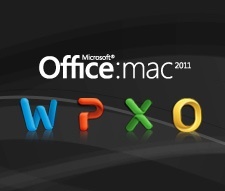 Microsoft has released Service Pack 1 for Office 2011 for Mac. And no, Arabic support was not added. The update includes security and stability fixes in addition to adding some features (read more at TMO). To download the update visit Office for Mac’s download page. I have a small comment regarding the Arabic support for the recent update 14.1.0 for office 2011. There is a way to read and write Arabic text on the new updated word 2011. First, opening an already formatted Arabic document, try to open an Arabic document created on the windows version of microsoft Word, the document has preserved the formatting and the ligature and the character spacing of Arabic language text. While before the update 14.1.0 I used to find text Â letter with “tanween” and “tashkeel” on top of each other with no correct character spacing. Â You can edit the document you opened in 14.1.0 just change the language to arabic from the language menu and insert the cursor in the place you want.